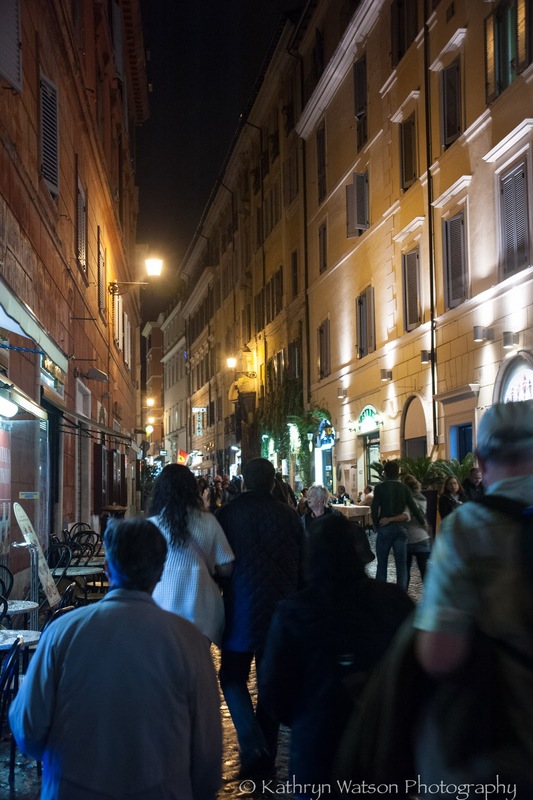 What could be more fun than a night tour of Rome??? the bus driver drove past the sights at a 30mph clip!!! Hard to get a good pic of the colosseum by moonlight!!! 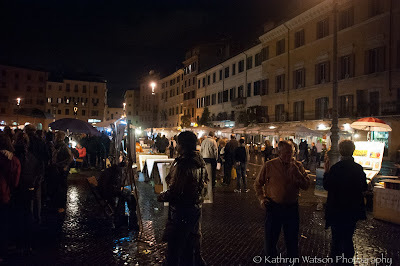 I think next time we'll check out Rome at night on our own!!! 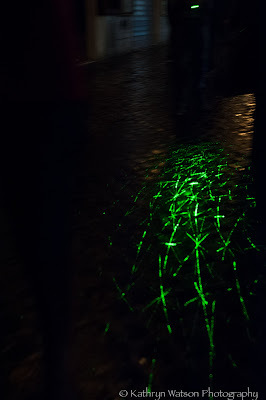 Adoro ROMA a noite ou de dia!!! Meu marido é italiano, de Roma e moramos no Brasil,em Porto Alegre! beijos,chica e ADOREI rever!!! I like to take a guided tour only once to get a feel for the area, then I'm always exploring on my own. I think you get a better experience that way. 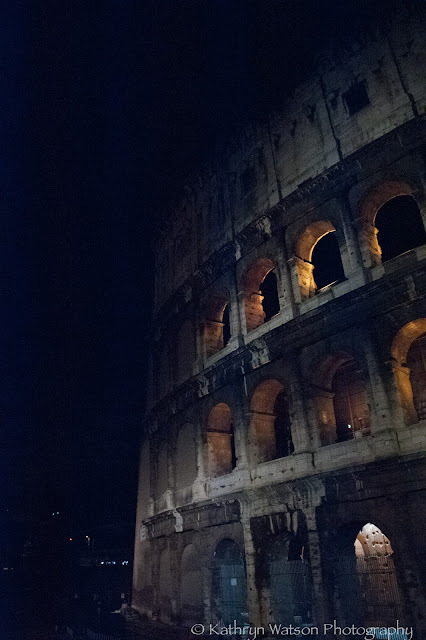 I love the backlighting of the colosseum, what a gorgeous shot! The photos are great and one day I'd love to see Rome for myself. Hi Kathryn, thanks for your very kind words in my site. It is an honor to be told that from someone like you. I am awed with all your shots actually, especially this night tour, i wonder why you had it at night. I guess i might not be able to get good shots this way. 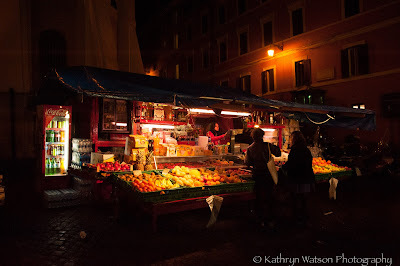 I toured Rome alone a few years back, just dropped by on my way home from Sweden. I had 3 days, so 1st day i walked alone through the ruins, 2nd day someone accompanied me to go to further places which needs transport. I wish i can go back again, maybe try it at night too. I visited your posts on this trip, so thanks for all the information. I can't find a mail adress, so I'm asking it here. Can I please use your photo of That's Amore on my blog (www.inhetwildeweg.be)? I'm making a page about every hotel and restaurant I visited on every vacation I made. 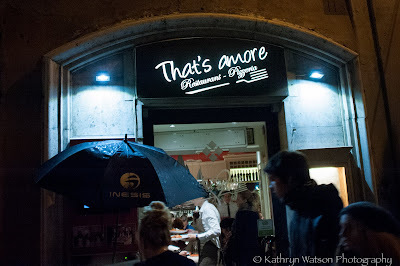 I absolutely loved That's Amore. Unfortunately, I didn't take a picture of it. Gorgeous pictures ! Rome by night looks beautiful ! Your night photos are just stunning, and amazing! At 30 mph, you did a mighty fine job of that photo! These are really lovely. Hi! Wonderful collection of Rome photos. I reminded our travel to FountainTrevi. I love your night in Rome. There is something exotic in your photos. I'm glad you visited in my blog. Thanks all!!! The night tour was definitely a unique experience!!! Thanks for all your good wishes and I hope you all get a chance to visit Rome...night or day!!! Great photos, I wish I was there! Thanks for the visit. Wow, looks like a whole lota fun Kathryn!! What an unique experience it must have been! 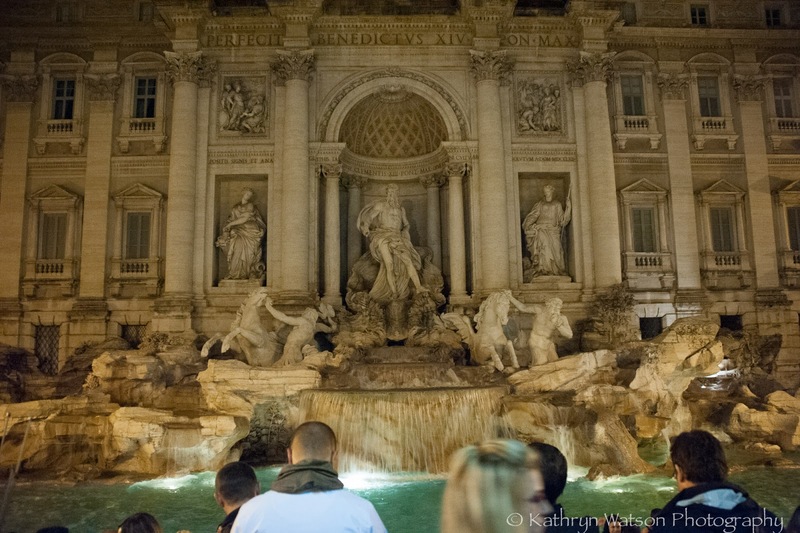 The Fountain of Trevino and Colossum looks so lovely in the dim light! Wonderful night shots of the city. Stunning photos! I wish I was there! Great photos - O my goodness indeed -- night photography to me are the hardest to capture right and you did a great job - wow wee!!! That is a dream for me. Great shots! You take nice night photos that make any place light up in the dark! When did you visit Rome? What memories. 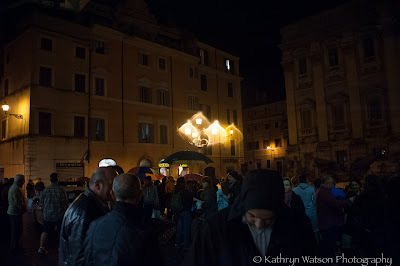 Rome is one of my most favourite cities and what a great job you did with those fabulous night photos. wow! what a wonderful collection of photographs. Rome is the city of my heart! I stay there few weeks every year. 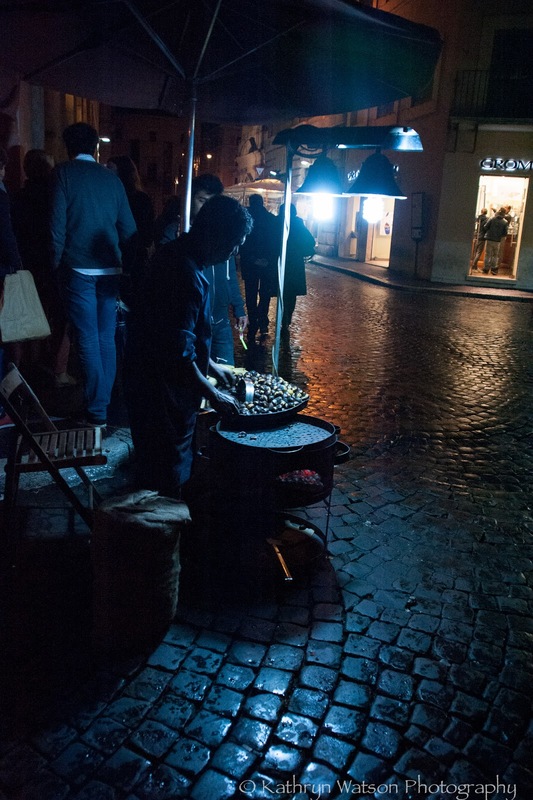 Your photos show the lively Rome at night. Oh, Rome!! Love this city so much and your images show a perfect impression. Thank you so much for sharing your work with us. Everyone,How are you.Excellent working Today Join your Platform got new information..My pray with you Dear Friend......Got more Success Blessings in the name of GLORY. You captured Rome at night so well. Thank you so much for taking the time to comment! I love to read your comments and see where you all are from!!! I will respond as well as visit your sites!!! Please note that if you are a Google+ member I won't be able to comment, but I will still visit your site! Welcome!!! Please join me in my photographic adventures both worldwide and in my native Southern California. All photographs on this site are mine unless otherwise noted...well...and of course the ones I'm in too!!! My newest incarnation of photo equipment is my absolutely favorite! The Nikon d750!!! A magnificent camera! I do very little editing other than cropping...and maybe a bit of color or contrast as well as an occasional black and white...all on Lightroom. Please remember that these photos are copyrighted by Kathryn Watson and are my sole property. Reproduction without permission is a violation of copyright law. Subscribe to my email list!! !